We think of our guests as family, which is why you can guarantee you will receive the best available rate when you book direct. You will also receive 20% off when you indulge in a Full or Champagne Afternoon Tea during your stay. Other perks of booking your stay direct with us include complimentary Champagne at 18:00, hot chocolate before bed and free unlimited Wi-Fi during your stay. 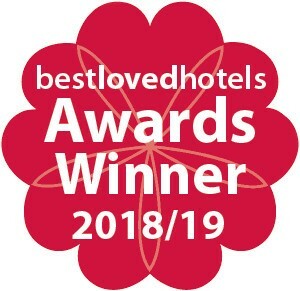 We are extremely proud to have been named the ‘Best Eco-Friendly Hotel’ at the 2018 bestlovedhotels awards for excellence. We believe that this shows our ongoing commitment to ensuring that we operate in as sustainable manner as possible. From our policies on laundry, plastic, we understand our responsibilities and ensure this is at the heart of our operations. Proud to be awarded the Gold Award for ‘Good Practise Throughout’, the Draycott Hotel ensures its practises are environmentally sustainable. committed to conducting the hotel in a way that ensures environmental sustainability. 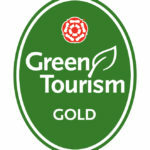 independently audited green accreditation scheme for the tourism industry in London. The Green Tourism for London Scheme has over 150 measures of good sustainable practice related to running a successful tourism related operation. The Draycott Hotel is proud to have received the Gold Award for ‘Good Practice Throughout’ every consecutive year since 2013. In April 2010 and April 2011, the Draycott Hotel gained the Silver Award for ‘Good Practice Throughout’. We are Factoring the environment in our everyday decision making at management meetings and with our Staff Consultative Committee. We are Raising awareness and encouraging our staff to carry out more sustainable business practices by informing and involving them at induction and at regular training sessions. Recycling paper, newspapers, glass, batteries, fluorescent and long life bulbs, cans and cartridges. Operating a ‘switch off’ policy for office staff to turn off computer equipment and printers when not in use. Reducing our usage of harmful cleaning chemicals and replacing these with eco-friendly products wherever possible. Reducing our usage of paper by printing double sided. Encouraging our guests to explore the local attractions by public transport, bicycle or on foot by providing information on walks, cycle routes and cycle hire information and bus and tube timetables at Reception. We will provide walking maps to local attractions in our room directories. Use low energy light bulbs in public areas. Monitor our energy consumption of gas, electricity and water. Use electronic mail where possible to reduce the use of paper. Turn off unnecessary lights and taps. Update our website with green travel information e.g. local bicycle hire. Continue to reduce our energy consumption by 10% by looking at energy saving devices such as movement lighting, continuing with a roof insulation programme and working on long term projects such as implementing LED lighting. Use more organic produce, seasonal vegetables and local produce. Use recycled paper for brochures. Get involved in local community projects. Reduce water use by 10% by continuing to fit water saving devices in toilets. Donate bathroom products to local homeless charities. We will always comply with the law in all our actions and will continuously review our policy to improve our environmental impact. Turn off lights when leaving the room. Turn off the television when leaving the room. Limit the use of air-conditioning or heating and turn it off when a window or door is open to the outside. Leave newspapers out of the bins so they can be collected separately by the housekeeping staff. Our policy is to ensure that guests have a comfortable stay. Therefore sheets will be changed on every second day for a long stay guest and towels will be changed on turn down (where necessary) and when the room is cleaned. Guests are asked to place all towels to be changed into the bath. If you would like any further information about our activities, please see our Keen to be Green file in the Reception area. If you are looking for ways of exploring London we have a file in the Drawing Room which explains how to explore London walking, cycling or using London transport. Walking maps to local attractions are available at Reception. We very much welcome your support in achieving our aims and we appreciate any recommendations you have to further improve the hotel’s environmental performance. Please feel free to email us any suggestions you might have.